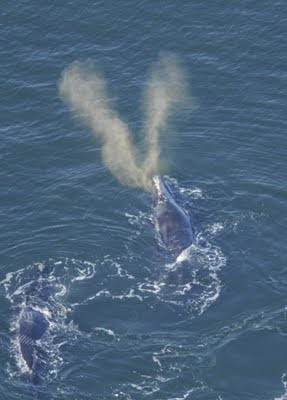 On September 26, one of our teams had a very exciting sighting: a new mom and calf pair for the year! Sighted to the north close to a cluster of islands called "The Wolves," the team observed an adult with a calf, spending time at the surface close to each other, coordinating dives and making body contact. The pair wasn't one that we recognized, so back in the office that night we looked at the photos and identified the adult as Legato (Catalog #1802). 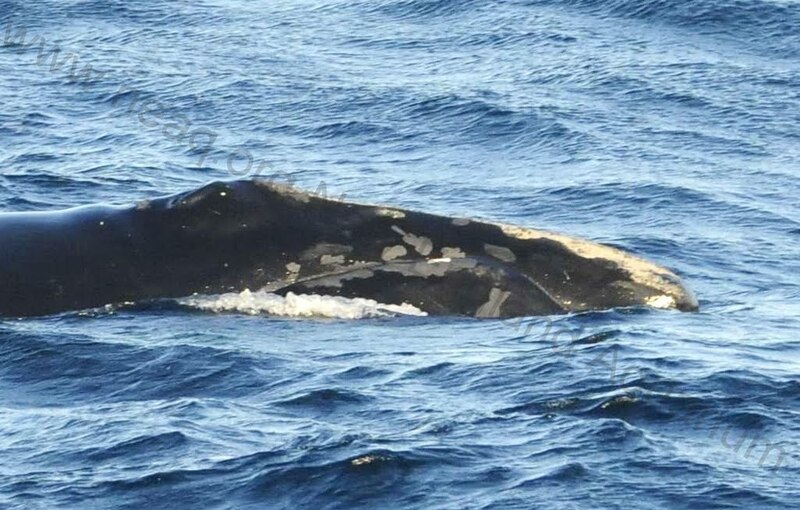 However, we were hesitant to jump to conclusions that this adult was the mother of the calf; it's a little bit unusual to have a mother and calf appear in the Bay of Fundy that weren't seen by aerial survey teams covering the East Coast or the Southeast (SEUS) calving grounds. Plus, this was our only sighting of them, so perhaps they were just sighted together by chance. Legato was born in 1998 and has had three calves, all birthed in the SEUS. She may have birthed this calf in a different location, but with the bad weather in the south this winter, it is possible that the pair was missed during surveys. On September 28, the whale watch company Quoddy Link Marine photographed the pair together, behaving like a typical mother and calf. So this is indeed a new mom and calf for the year, and we are delighted to welcome the 22nd calf of 2011 into the population! As a guest to the right whale field house in Lubec, I have a unique perspective from which to view typical field operations for the New England Aquarium's right whale research team. The team exhibits habits that are so rote as to be unnoticeable, but as a newcomer, I've developed a great respect for the assiduous manner with which all the individuals in the house attempt to live their lives aligned close as possible with their conservationist principles. Immediately upon my arrival here I was impressed with the thoughtful effort that goes into recycling, reusing, composting, and consuming energy (from the grid and from the farm) sustainably. Everyone here goes the extra mile, no matter how exhausted by a day on the water or inundated with a day of data analysis, to not only talk the talk of environmental responsibility but also to walk the walk. First, let me touch on the thorough recycling regime for the house that Amy spearheads. We recycle everything that can reasonably be recycled--bottles, cans, plastics, paper, cardboard, corks, batteries, light bulbs, metals--and Amy goes so far as to take the things that cannot be recycled in Lubec back to Boston with her to be recycled where there are greater resources. Amy has also thought of the challenges of recycling, realizing it gets done less if it's not convenient, so she's put recycling bins in the bathrooms and near the showers (for toilet paper rolls, paper towels, and shampoo containers, among other things) and close to any work spaces to ensure almost nothing that can be recycled falls into the waste basket. When we're done reusing it, we recycle it! Secondly, we reuse whatever we can. Lots of the plastics that might get thrown away (for example, hummus or yogurt containers) are great as reusable leftover containers--it's like getting free tupperware with your store-bought food! Many of our drinking glasses are old jars, and most of us in the house use water bottles and coffee tumblers that are refillable for years and years. Also, one of my favorite aspects of the field house is that upon our arrival everyone who so desired could claim a cloth dinner napkin to use for the season. The napkins hang on personalized clothespins in the kitchen and can be grabbed whenever someone is sitting down to eat, then washed with any load of laundry, majorly saving on paper towels. The Whale House napkin line. Thirdly, we keep a compost heap in the backyard and a compost bucket in the kitchen. 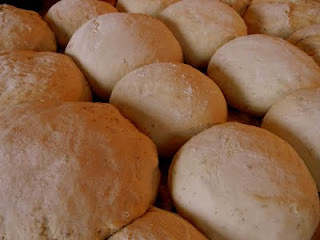 Any uneaten food (of which there is very little in general), egg shells, coffee grounds, banana peels, etc. gets put into compost to eventually return to the ecosystem. Our paper towels are compostable, too, so they don't end up in the dump. Where our uneaten foodstuffs feed the earth. Lastly, everybody tries to consume in a sustainable fashion, thinking about how long we're spending in the shower, turning off lights when a room is empty, using efficient machinery, unplugging battery chargers when they're not in use, drying our clothes naturally outdoors, and buying organic, locally farmed and fished food when possible (we've been a member of the Tide Mill CSA for years!). Environmental responsibility is a challenge, and the project isn't necessarily a paragon of going green--to study whales we still need big trucks to tow boats and gasoline to run them both, lots of electronics, and if we washed ourselves and our gear any less than we do now we'd probably be kicked out of Lubec. But, undaunted by those deficiencies, my co-workers are being actively conscientious and creative in their attempts to lessen the project's impact on the environment, and it's a subtle heroism that I deeply admire. 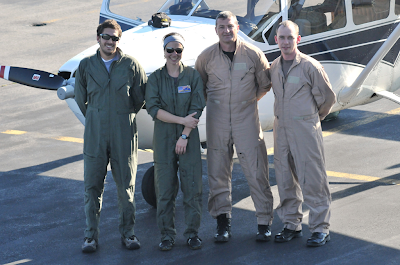 On September 18 and 19, we were treated to ideal conditions for surveying in the Bay- low winds and no fog! 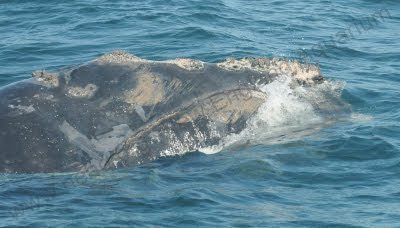 We were all eager to see if right whale numbers had changed from our last survey, several days before. 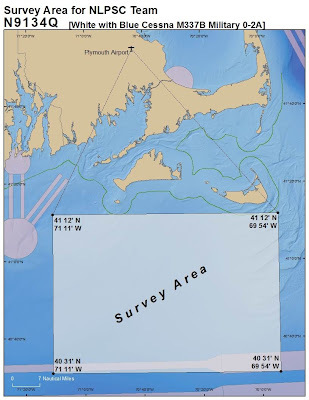 Little did we know that we would hardly get any surveying done, because we could hardly move on our trackline without sighting more right whales! We were thrilled to spot our first pair of right whales around 8:20 AM on Sunday. Not long after, we noticed many blows grouped together on the horizon, which could only mean one thing: Surface Active Group (SAG)! The SAG was centered around a mom, Catalog #3130, while her calf remained on the outskirts. The dynamic of the SAG was interesting- there were long breaks in between the activity, and the whales would scatter while #3130 would reunite with her calf. There were whales everywhere we looked, in all different directions and distances. We estimated more than 30 different whales were aggregated in less than one square nautical mile. I wondered- is this what the North Atlantic looked like before whale populations took a toll from commercial whaling? When we felt we had photographed all the individuals in the SAG (not an easy feat for the photographers nor whale watcher! ), we moved on to smaller SAGs in the distance. 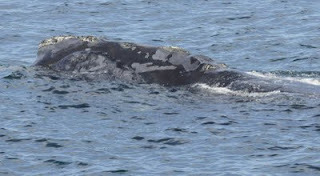 By the end of the day, we had documented nearly 60 different right whales in a relatively small area of the Bay. 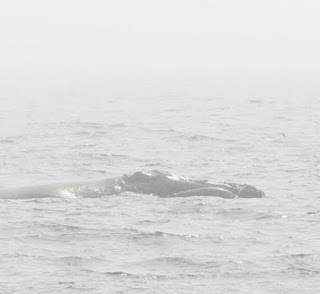 Heading across the Grand Manan channel on the following morning (Monday), the observers on the bow of the Nereid caught a glimpse of a whale. Surely it wasn't a right whale... was it? 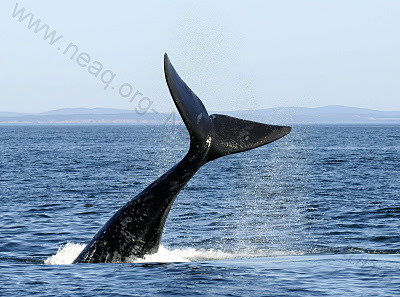 The Grand Manan channel is not a habitat often used by right whales. 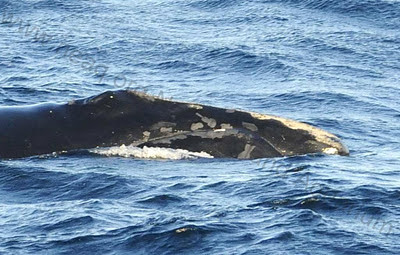 So we were surprised when we found not one, but three right whales in the area! As we documented the whales, we noticed two vessels heading in outbound, south down the Channel. 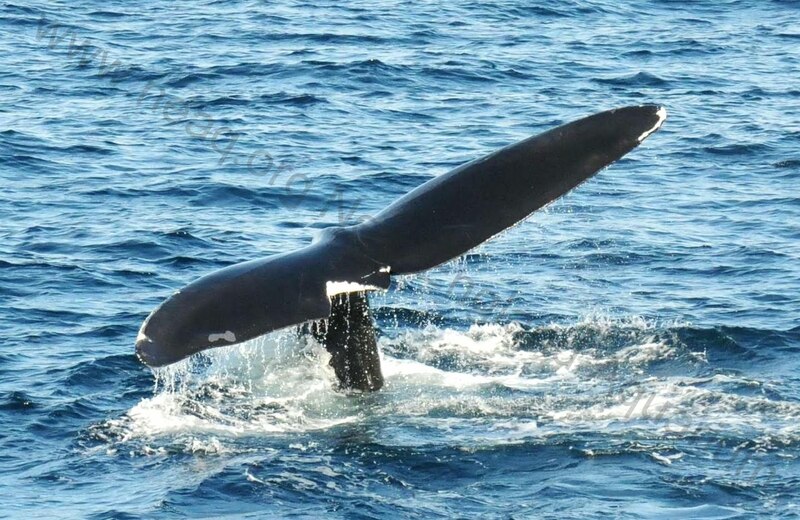 Since the presence of right whales is unusual in this area, we called Fundy Traffic to notify them of the whales located outside of their critical habitat area, and they in turn notified the ships to steer clear of the whales. 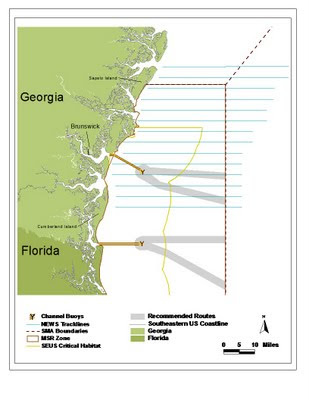 The vessel operators responded by steering well west of the whales. We continued into the Bay, and had another extraordinary day filled with a large SAG of about 20 whales, followed by some other smaller SAGs. One exciting sighting was of a familiar face: Calvin (#2223)! Calvin was born in 1992 to a whale named Delilah. During their first summer in the Bay of Fundy, Calvin was orphaned when Delilah was struck and killed by a ship. Calvin's story is amazing because not only did she survive without her mother, but she also endured a fishing gear entanglement in 2000 (and was disentangled in 2001), and has now gone on to bear calves of her own. She, along with some of our other "famous" whales, are featured on our sponsorship page, and by making a donation to the Right Whale Research Program, you directly help fund our research and conservation efforts. Now: off to process all this data we collected! In the age of digital photography, email and cell phones (not that they work in Lubec, ME) it is easy for us to work all the time. 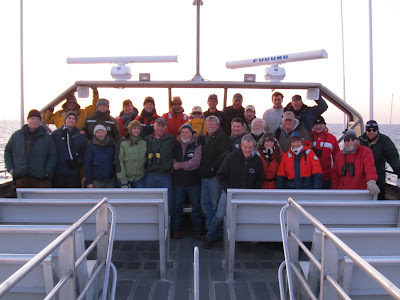 On nice weather days we are found working a typical 12-14 hour day on the Bay of Fundy. When weather (fog, rain and wind) keeps us at the dock we can be found in our office in our field house hunched over computer screens and data sheets. Processing a single day of data from the field can often take several days in the office. So when a nice stretch of weather occurs it is very easy to quickly become backlogged. We work very hard to remind ourselves to take a day off each week. Our days off are dictated solely by the weather and so might occur on a weekday or a weekend or sometimes consist of only an afternoon. However, when an official day off is called most of us grab a bike or hit the trails for some exercise and fun. A few weeks ago, we had field station work day which involved clearing brush, power washing the house and other general maintenance projects. 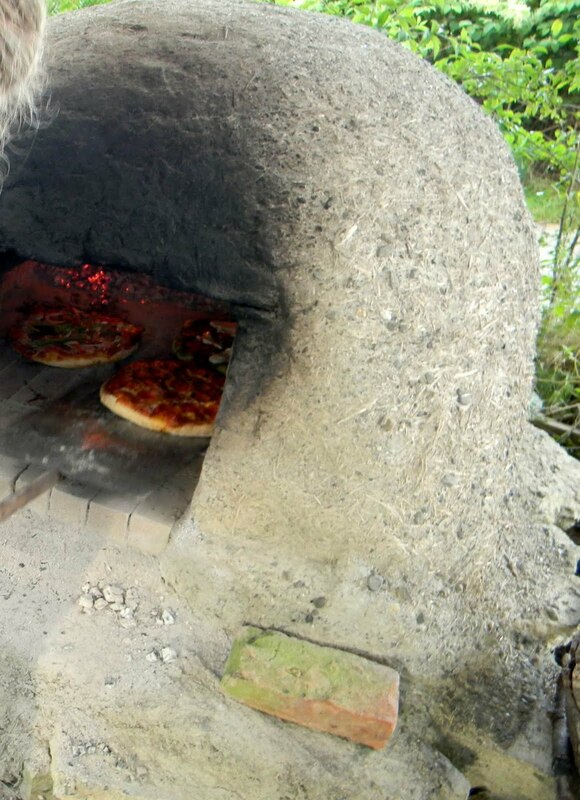 Since the day was spent doing hard, physical work we decided it would be the perfect night to have a pizza party in our clay and brick pizza oven. Yan, tending the fire burning in the oven in preparation of the pizza night. A couple of pizza cooking in the oven. 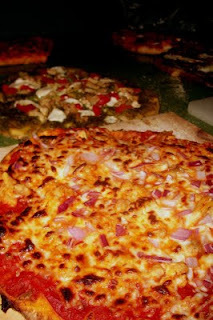 We're all looking forward to one more pizza night before the end of the season, which is quickly approaching (September 30!). This is the second installment of "The Quest for Whale Blow,"detailing our newest research project focused on collecting and analyzing right whale blow. You can read Chapter 1 here. Blow analysis is very much the cutting-edge frontier of marine mammal research, and it's often quite difficult to find funding for innovative new research ideas like this. Fortunately, the U.S. Navy's Office of Naval Research (O.N.R.) 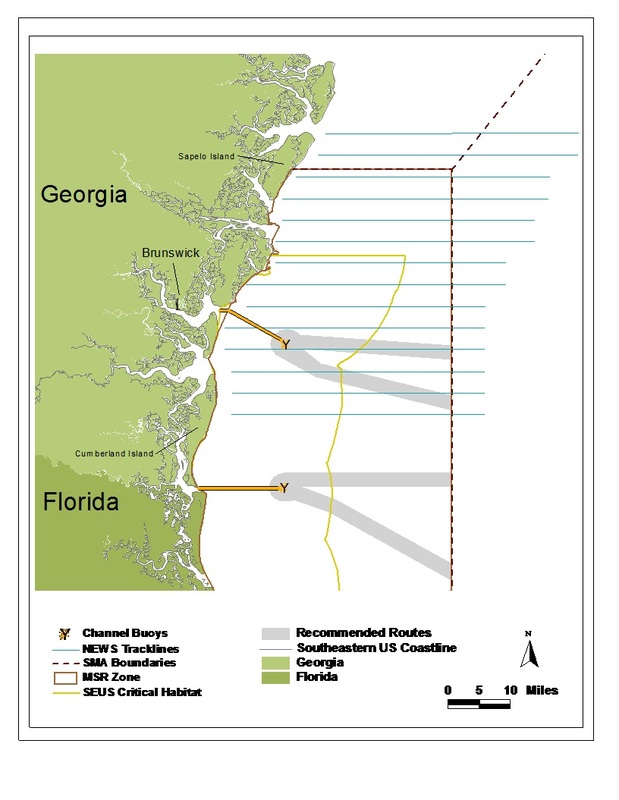 has a particular interest in developing methods to detect and ameliorate effects of chronic stress in marine mammals (particularly the effects of noise, because of the Navy's need to use military sonar). ONR Program Officer Michael Weise, Ph.D., has even taken the trouble to sponsor several research conferences on the topic, inviting the top stress researchers from around the world to brainstorm ideas about innovative new methods for assessing stress in marine mammals. These conferences have essentially jump-started a whole new research field on marine mammmal stress. The ONR has recently given us funding to study stress hormones in feces of 3 different cetaceans (see, for example, our previous posts on our beaked whale project in the Bahamas). And now the ONR has also funded our study to study stress hormones in respiratory blow of North Atlantic right whales. So here we are in the Bay of Fundy, trying to catch right whale blow! 1. Can we build a device that can capture enough blow vapor? Previous studies only succeeded at collecting infinitesimal amounts, about 50ul (picture a tiny droplet about the size of a poppyseed). What we need is at least four times more, about 200ul (approximately apple-seed size). That may still sound tiny, but it's much more than anybody's collected before from a large whale. 2. Can we actually get the device over the blowhole of a free-swimming whale? We know we can approach right whales very closely, but the whales are constantly swimming and rolling and moving around, and it's not at all clear how easy it will be to hold a blow collector right over their blowholes. 3. If we succeed at both #1 and #2, and if we actually get samples and get them back to our lab, will the samples actually contain any measurable hormones? 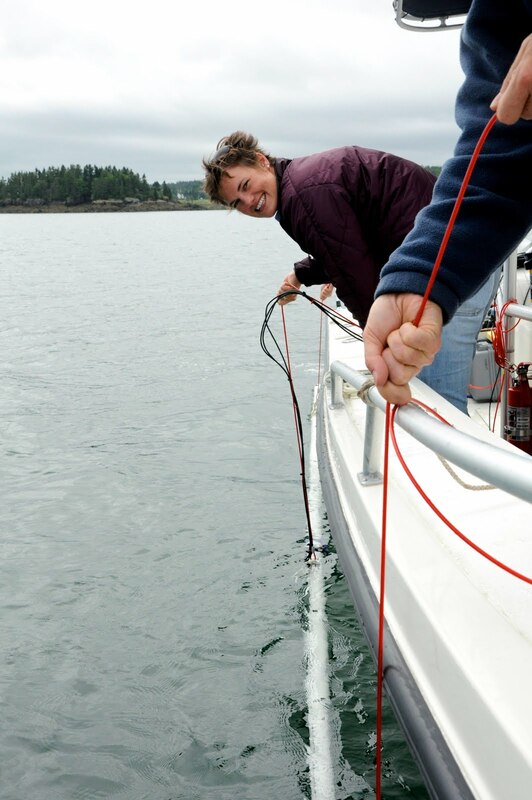 To get the project underway, Aquarium researcher Scott Kraus, Ph.D. spent much of the spring months designing and building a telescoping 32' carbon-fiber pole mounted on a beautiful, custom-machined swiveling mount that is bolted to to the bow of our boat, Callisto. Meanwhile, I spent innumerable weeks designing a blow collector that can be put on the end of the carbon-fiber pole. I tested a variety of bottles, hoops, rings, and different kinds of absorbent material that we could potentially hold over a whale's blowhole to catch absorbent vapor. My best blow collector has turned out to be a plastic bottle covered with 2 yards of nylon tulle bridal veil. Yes, that's right, bridal veil - what can I say, bridal veil just turned out to be the best fabric I tested for catching small droplets of vapor! From a distance, the finished collectors look uncannily like a person's head draped in veil, so of course we've taken to calling them "Bride's Heads". To date I've made several different, improved versions of bride's-heads (I'm now on Bride's-Head Model 8), and as I write this the forward cuddies of Callisto are stocked with 20 different bride's-head blow collectors of various designs. Our beautiful carbon-fiber pole and mount are working smoothly, and in trial runs, Aquarium researcher Rosalind Rolland has developed a considerable degree of skill at swinging the huge pole around. Roz and I have also worked out a method to rapidly retrieve a used bride's-head and swapping a new one onto the pole. Now all we need is good weather, and whales! Our fourth day out on September 2 continued our recent trend of finding fewer and more spatially distributed individuals (see previous blog); however, even though we only photographed a total of four right whales on the 2nd, our day started out with a bang. A little after 9 am, we came across an older male, first photographed 30 years ago in the Bay of Fundy named Sliver (Catalog #1227) who was doing a behavior called "head pushing." The whale lifts its head out of the water and pushes it down forcefully, which creates a bow wave. Sliver's curiosity leads him to investigate the Nereid and crew. After we properly photographed Sliver, we decided to throw a hydrophone over the side of the boat to listen for a loud, cracking sound called "gunshot,"often produced by head pushing whales (you can listen to a recording of a gunshot here). Gunshots are primarily thought to be produced by lone males or males in SAGs as either a form of sexual advertising to females or as an aggressive warning to competing males. Sure enough, Sliver was actively gunshotting! He was circling our small vessel with a curious approach and actually appeared to be head pushing and gunshotting at us! Maybe the hurricane blew all the female whales out of the Bay and he decided to try his luck with the next best thing. As if that wasn’t impressive enough, Sliver was so close to us, that we could see his body shiver or “jell-o” after a gunshot sound was produced. We were able to video document this incredible physical phenomenon, and while the technological capabilities of our video camera do not allow us to sync up with our hydrophone, the video clip below includes Amy listening on the hydrophone and informing us when Sliver produced a gunshot, which accurately corresponds to the “jell-o” visual. We eventually left Sliver to his own devices and a couple of hours later photographed three other older males: Gemini (#1150), #1419, and Houdini (#1167), who is aptly named for his history of escaping from multiple entanglements over the last 30 years. Around the same time that #1419 and Houdini initiated a SAG with each other, we figured out that both whales needed to be biopsy darted! Monica deftly darted one whale after the other, and we are thrilled to have collected these samples! It is fairly rare to find older individuals who haven't been darted, let alone to have two undarted old-timers sighted together, so we were excited by our stroke of luck, as well as Monica's skill with a crossbow. We didn't see any other new right whales for the day, but we did encounter several other whale species, including humpback, fin, sei, minke and sperm whales. 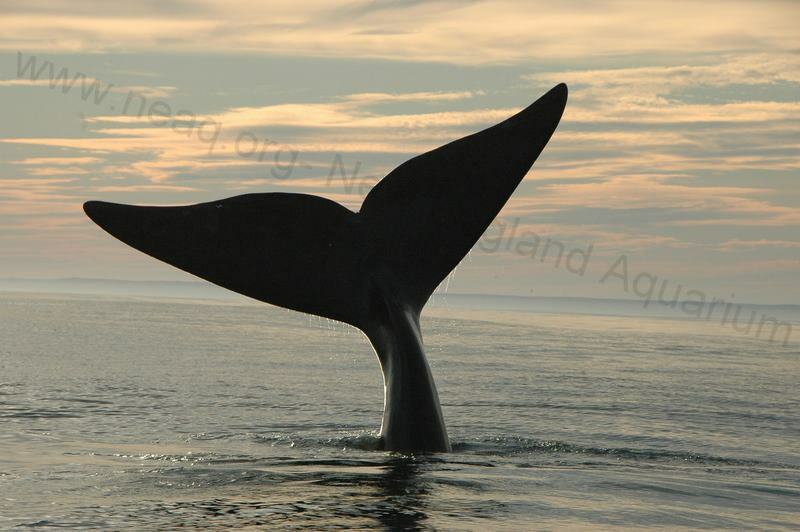 We may focus our research on right whales, but the sight of any cetacean is pretty cool in our book! While making the trek back to our dock in Lubec before sunset, we came upon a familiar figure. Sliver was about two miles north of where we left him about seven hours earlier, and he was still swimming in circles while head pushing (and presumably gunshotting)! We can only hypothesize at this point what he was doing during the seven hours between our chance meetings, but lone males have been documented gunshotting for over seven hours, so it is actually quite possible that Sliver continued these behaviors throughout the day. If so, it is an incredible showcase of strength and endurance, and we were lucky enough to be able to witness just a tiny portion of Sliver's gunshot and "jell-o" display. Hopefully he will have better luck with the ladies next time, since the only ones he appeared to impress all day was a boat full of female researchers. 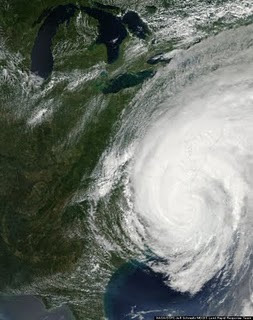 Judging by the weather we had before Hurricane Irene swept through, the saying about "the calm before the storm" didn't ring true. However, we all can now attest to "the calm after the storm." The team took advantage of four consecutive days on the water this week, all with light winds that gave us calm seas. As Monica described in the last blog post, on August 30 we sighted a mom (Catalog #1123- Sonnet) and her calf, which were new to the season's sightings in the Bay. While we were photographing the pair, we witnessed a small SAG form- first one adult male joined the pair, then three others approached and joined in! While the adults dived deep, the calf stayed at the surface, which allowed Monica to biopsy dart the calf to collect a small skin sample. By the end of the day, we had photographed 17 different whales. A SAG around a Mom/Calf pair developed in front of our eyes! The following day, we decided to mix things up and try a different approach to our survey, heading north and east of our usual track. We thought it paid off when we photographed our first whale at 9:00 AM, but as we continued to survey the Bay for hours, no other right whales were sighted. Around 1:30 PM, we finally had our second sighting: a calf and its mom, Viola (#2029), who was born in 1990 and had calved twice before. Unfortunately, this pair was seen in the shipping lanes, the "road" for large shipping vessels. We contact Fundy Traffic at the end of every day with the positions of the right whales we see so that they can notify all the ships that pass in and out of the area to slow their speed and keep an eye out for whales. Hopefully #2029 and her calf weren't going to spend any time hanging out in the lanes and moved on to a safer area. By the end of the day we photographed eight different whales, including two that formed a small SAG, but we also saw an additional three that we weren't able to document because they were too sneaky for us! Since we didn't have much luck with large numbers of whales to the east, our plan for our third day on the water was to survey on our regular tracklines. 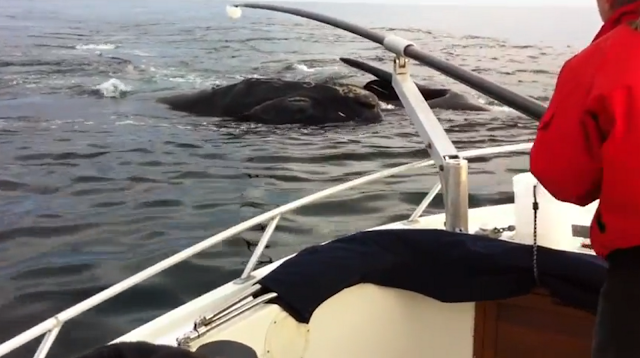 However, the whales had another idea and led us northeast! We sighted 11 different whales, but they were difficult to work with because they were on longer dives (14-16 minutes, as opposed to an average 10 minutes) and very spread out. The highlight of the day was seeing a new mom and calf pair for the Bay: #1911, Mystique, who was born in 1989 and had calved three times before. Although we were optimistic about our weather window for the week, our slew of several consecutive beautiful days on the water turned into just one day. 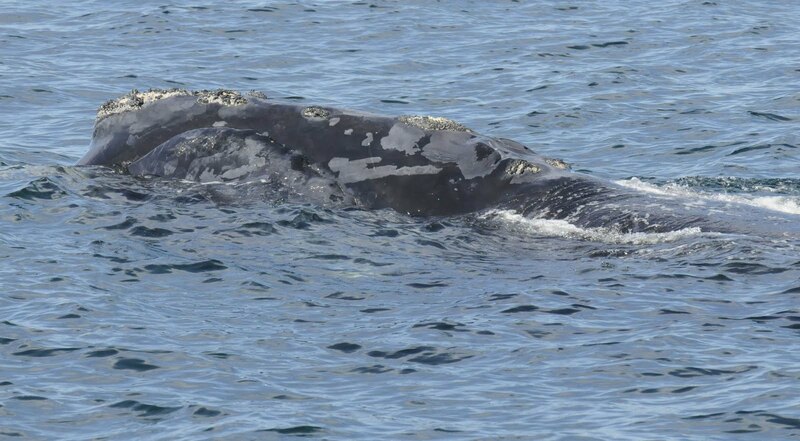 Although we did find right whales when we went out, sightings were difficult because of the sea state, and because the whales had moved from the locations we had been seeing them! Who knew?! We'll be blogging with a full update very soon! The R/V Nereid, looking unhappily fogged in. Hopeful for a second day on the water for the week and not entirely sure if the forecasts were as terrible as they sounded, we poked our noses out. Sure enough, the fog bank we encountered on land stretched past the Grand Manan channel and into the Bay of Fundy. Thankfully, the R/V Nereid is equipped with excellent GPS and Radar systems which guided us home safely. Not ideal conditions in the Bay. While we're waiting for the weather to turn in our favor, we are getting lots of work done in the office. Our data sets from our previous trips out are being processed, and we're busy matching the whales so we know who is in the Bay this year. Keep your fingers crossed for good weather so that we can get back out there! Looking at whales on computer screens is almost as fun as seeing them in the field!